Since we got engaged about a year and a half ago I've wanted to post wedding ideas, teaching inspiration, travel highlights, etc. Clearly I'm just now getting around to it so there will be a little catch up in the meantime. I used blogs constantly while wedding planning so it's about time I (attempt to) give back to the blogging world. Isn't it great to have a free, easy, creative network?! 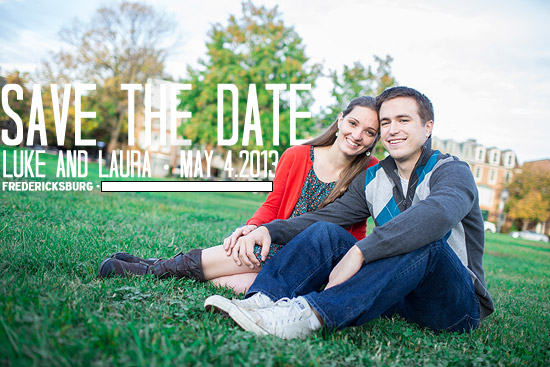 It seems appropriate to kick off wedding planning ideas with these simple save-the-dates. This was one of the first projects we did and it was easy and turned out just how we wanted. Read on for details! -A digital photo. We used one (two, actually) from our engagement shots taken by Ben Powell Photography. This session came free with our wedding photo package. **If you're looking for a photographer in the dc area we highly recommend them. More to come on that later. -A really talented friend who likes graphic art. We sent digital photo copies to our who added the text using photoshop. You could also do this yourself on PicMonkey or another photo editing site for free. -Envelopes. We bought two boxes of 4"x6" envelopes from Staples for $6 each. -Fine point markers. We used sharpies that I already had but you could easily buy one or two for a couple dollars at Staples. -Stamps. The most expensive item on our list. I bought the pretty forever stamps for $36 at the post office. -Printer paper. We bought this hp photo paper for $12 at Staples (are you noticing a trend here?). It came in 4x6 sheets so we didn't even have to worry about cutting the paper. Easy peasy. -Address stamp. This took 5 minutes and $20 at Office Depot and it was totally worth it. 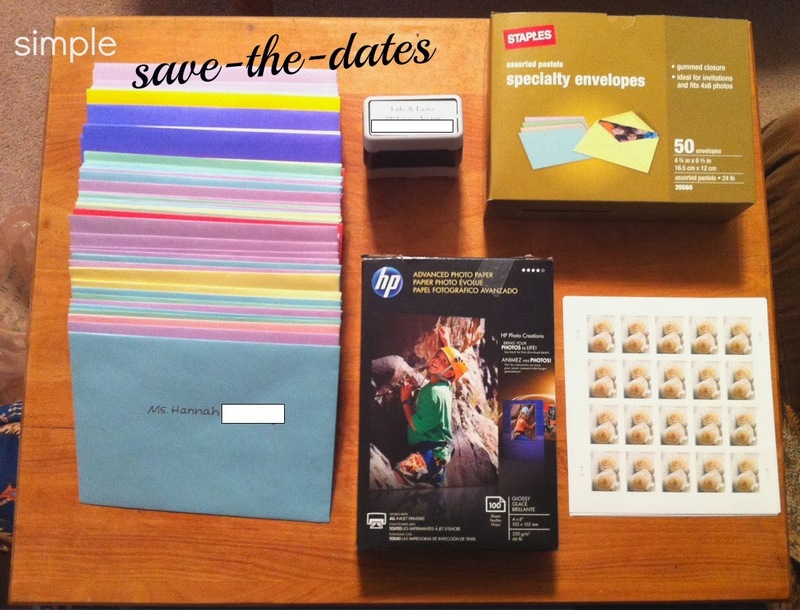 We used it for save the dates, invitations and even thank you notes. 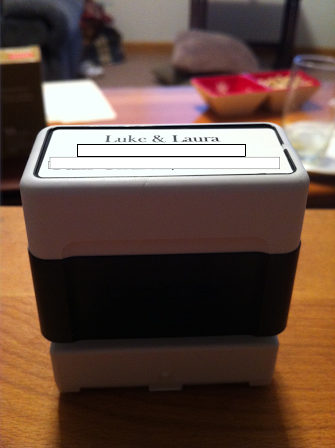 The best part about this stamp is that it comes with ink inside so it stays nice and clean. We spent Thanksgiving visiting family in upstate New York. 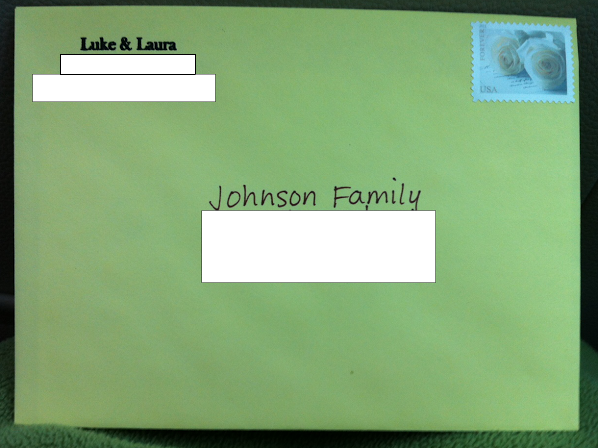 It was the perfect holiday for wedding prep; I addressed all the envelopes, Luke stuffed and sealed envelopes and we were set. Did I mention this all happened while we watched football, snacked and prepped Thanksgiving dinner? We were really happy with how they turned out (thanks, Tom)! In fact we couldn't decide which of these two photos we preferred so we decided to print 40 of each and send out a variety. Why not, right? You guys are just too cute. Love them!